The United States attracts immigrants from across the globe, who speak a diverse array of languages. In 2013, approximately 61.6 million individuals, foreign and U.S. born, spoke a language other than English at home. While the majority of these individuals also spoke English with native fluency or very well, about 41 percent (25.1 million) were considered Limited English Proficient (LEP). Limited English proficiency refers to anyone above the age of 5 who reported speaking English less than “very well,” as classified by the U.S. Census Bureau. Though most LEP individuals are immigrants, nearly 19 percent (4.7 million) were born in the United States, most to immigrant parents. Overall, the LEP population represented 8 percent of the total U.S. population ages 5 and older. Between 1990 and 2013, the LEP population grew 80 percent from nearly 14 million to 25.1 million (see Figure 1). The growth of the LEP population during this period came largely from increases in the immigrant LEP population. The most dramatic increase occurred during the 1990s as the LEP population increased 52 percent. The growth rate then slowed in the 2000s and the size of the LEP population has since stabilized. Over the past two decades, the LEP share of the total U.S. population has increased from about 6 percent in 1990 to 8.5 percent in 2013. Source: Migration Policy Institute (MPI) tabulations from the U.S. Census Bureau’s 1990 and 2000 Decennial Censuses and 2010 and 2013 American Community Surveys (ACS). The term Limited English Proficient (LEP) refers to any person age 5 and older who reported speaking English less than "very well" as classified by the U.S. Census Bureau. 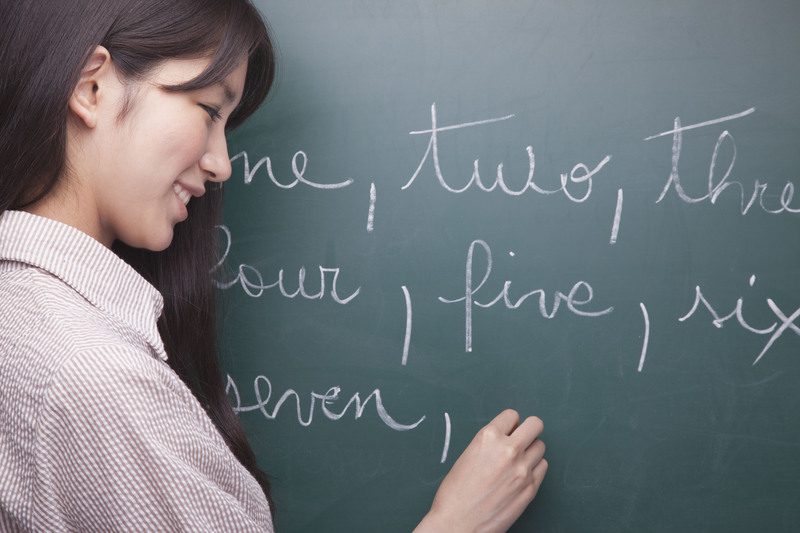 The term English proficient refers to people who reported speaking English only or "very well." The terms foreign born and immigrant are used interchangeably and refer to individuals who had no U.S. citizenship at birth. The foreign-born population includes naturalized citizens, lawful permanent residents, refugees and asylees, authorized nonimmigrants (including those on student, work, or other temporary visas), and persons residing in the country without authorization. Immigrants to the United States come from many different language backgrounds and may be in various stages of English proficiency. Of the total immigrant population of 41.3 million in 2013, about half was LEP. Compared to the English-proficient population, the LEP population was less educated and more likely to live in poverty. Employed LEP men in 2013 were more likely to work in construction, natural resources, and maintenance occupations than English-proficient men, while LEP women were much more likely to be employed in service and personal-care occupations than English-proficient women. Using data from the U.S. Census Bureau (the most recent 2013 American Community Survey [ACS] and the 1990 and 2000 Decennial Census), this Spotlight provides a demographic and socioeconomic profile of LEP individuals (ages 5 and older) residing in the United States, focusing on the size, geographic distribution, and socioeconomic characteristics of this population. In the U.S. Census Bureau’s American Community Survey, respondents who reported that they spoke a language other than English at home were asked to self-assess their English-speaking abilities with the options of "not at all," "not well," or "well," and "very well." The results are thus subjective and not based on English language tests. Only individuals ages 5 and older were surveyed about their self-reported English proficiency. Therefore, information about individuals who are LEP is restricted to the population ages 5 and older. While most Spotlights focus uniquely on the foreign-born population, this article examines English proficiency for both immigrants and the U.S. born. As of 2013, the highest concentrations of LEP individuals were found in the six traditional immigrant-destination states—California (6.8 million, or 27 percent of the total LEP population), Texas (3.4 million, 14 percent), New York (2.5 million, 10 percent), Florida (2.1 million, 8 percent), Illinois (1.1 million, 4 percent), and New Jersey (1 million, 4 percent). Together, the top six states accounted for approximately two-thirds of the LEP population. Eleven states had a higher share of LEP residents than the nationwide proportion of 8 percent. California had the highest share, with LEP individuals accounting for 19 percent of the state population, followed by Texas (14 percent), and New York and Hawaii (13 percent each) (see Figure 2). Click here for data on the LEP population by state from 1990-2013. In the 2009-13 period, the top five counties with the largest LEP populations were Los Angeles County in California (10 percent of the LEP population), Miami County in Florida (3 percent), Harris County in Texas (3 percent), Cook County in Illinois (3 percent), and Queens County in New York (2 percent). Together, these five counties represented 21 percent of the total LEP population. LEP residents accounted for more than one-third of the total population ages 5 and over in nine counties. Of these counties, seven were located in Texas, one in Alaska, and one in Florida. The counties with the highest share of LEP residents included Starr County, Texas (28,000 LEP residents, or 50 percent of total county population); Aleutians East Borough, Alaska (2,000, 49 percent); Maverick County, Texas (24,000, 47 percent); and Webb County, Texas (108,000, 47 percent). While most of these areas did not have large populations of LEP individuals in absolute terms relative to other counties, the share of LEP residents was significantly higher. Click here for data on the linguistic diversity of LEP individuals at the state and county level. The foreign-born population was much more likely to have limited English proficiency than the native-born population (see Table 1). In 2013, about 50 percent of immigrants (20.4 million) were LEP, compared to 2 percent of the U.S.-born population. In 2013, 81 percent of LEP individuals were immigrants. Of the total foreign-born LEP population, 39 percent were born in Mexico, followed by China (6 percent), El Salvador (4 percent), Vietnam (4 percent), Cuba (3 percent), and the Dominican Republic (3 percent). Foreign-born LEP individuals were less likely than the overall immigrant population to be naturalized citizens (36 percent versus 47 percent, respectively). Of native-born LEP individuals, 14 percent were born in Puerto Rico and less than 2 percent were born in Mexico to at least one U.S.-citizen parent. Three percent were born abroad elsewhere to at least one U.S.-citizen parent, with the remaining 82 percent born in one of the 50 U.S. states or the District of Columbia. Click here for data on LEP adults (ages 18 and over) by U.S. citizenship status and by state. Spanish was the predominant language spoken by both immigrant and U.S.-born LEP individuals. About 64 percent (16.2 million) of the total LEP population spoke Spanish, followed by Chinese (1.6 million, or 6 percent), Vietnamese (847,000, 3 percent), Korean (599,000, 2 percent), and Tagalog (509,000, 2 percent). Close to 80 percent of the LEP population spoke one of these five languages. There were marked differences, however, in the top languages spoken by LEP persons by nativity. As shown in Figure 3, 77 percent (3.6 million) of the U.S.-born LEP population spoke Spanish, followed by German (140,000, or 3 percent), Chinese (116,000, 2 percent), French (82,000, 2 percent), and Vietnamese (80,000, 2 percent). Spanish was also the predominant language, spoken by about 62 percent (12.5 million) of immigrant LEP individuals. However, Asian languages were more likely to be spoken by the foreign-born LEP population, including Chinese (1.5 million, or 7 percent), Vietnamese (767,000, 4 percent), Korean (564,000, 3 percent), and Tagalog (484,000, 2 percent). Notes: Chinese includes Chinese, Mandarin, and Cantonese; Creole includes French and Haitian Creole; and Hmong includes Miao-Yao, Mien, and Miao. The linguistic diversity of the LEP population varied across states and counties due to differing immigration trends and population composition. For instance, in the 2009-13 period, the top three languages spoken by LEP residents in New York were Spanish, Chinese, and Russian. In contrast, the top three in Maine were French, Spanish, and African languages, and in Hawaii, miscellaneous Pacific Island languages, Tagalog, and Japanese. In addition, the share of LEP persons among speakers of particular languages varied widely. In the 2009-13 period, Vietnamese speakers had the highest share of LEP individuals (60 percent), compared to 55 percent of Chinese speakers, 44 percent of Spanish speakers, 20 percent of French speakers, and 16 percent of German speakers. Click here for an interactive chart showing the top ten languages spoken and LEP share by language. Compared to their English-proficient counterparts, LEP individuals were much less likely to be of school age and much more likely to be of working age (see Table 2). In 2013, 10 percent of LEP individuals were children between the ages 5 and 17, versus 19 percent of the English-proficient population. Seventy-five percent were between ages 18 and 64 compared to 66 percent of English-proficient individuals. About 15 percent of both the LEP and English-proficient populations were seniors. LEP individuals were much more likely to be Latino or Asian than their English-proficient counterparts (see Figure 4). While Latinos comprised 63 percent of the LEP population, they accounted for only 12 percent of the English-proficient population. Likewise, 21 percent of LEP individuals were Asian compared to only 4 percent of English-proficient individuals. In general, LEP adults were much less educated than their English-proficient peers. As of 2013, 46 percent of all LEP individuals ages 25 and over had no high school diploma compared to 10 percent of their English-proficient counterparts. About 14 percent of LEP adults had a bachelor’s degree or higher, compared to 31 percent of English-proficient adults. LEP individuals age 16 and over participated in the civilian labor force at a slightly lower rate than English-proficient individuals (61 percent versus 64 percent), largely because of greater gender differences in employment outcomes within the LEP population. Among English-proficient individuals, men participated in the civilian labor force at a slightly higher rate than women (68 percent versus 60 percent), while the gender gap was much larger for LEP individuals (75 percent versus 49 percent). Compared to their English-proficient counterparts, LEP men were more likely to work in natural resources, construction, and maintenance occupations (15 percent versus 28 percent), service occupations (14 percent versus 25 percent), and production, transportation, and material-moving occupations (17 percent versus 24 percent) (see Figure 5). LEP women were significantly more likely to work in service occupations (45 percent versus 20 percent), as well as production, transportation, and material-moving occupations (16 percent versus 5 percent) than their English-proficient counterparts. LEP individuals were more likely to live in poverty than English-proficient individuals. In 2013, about 25 percent of LEP individuals lived in households with an annual income below the official federal poverty line—nearly twice as high as the share of English-proficient persons (14 percent). Note: This section refers to children ages 5 to 17 residing with at least one parent. In 2013, of the 51.3 million children ages 5 to 17 in the United States, approximately 8 million (16 percent) lived with at least one LEP parent. Among the 2.3 million children who were themselves LEP, 23 percent were foreign born. The remaining 77 percent (1.8 million) were U.S. born, with 77 percent (1.4 million) having at least one immigrant parent. The majority of LEP children enrolled in school, also known as English Language Learners (ELLs), were U.S. born: 85 percent of pre-kindergarten to 5th grade ELL students and 62 percent of 6th to 12th grade ELL students (see Figure 6). ELL and English Learner (EL) are used interchangeably with LEP to describe school-age children who are learning English and who may receive English language instruction support at school. Note: The figure refers to English Language Learner (ELL) students, ages 5 to 17, enrolled in school by grade. Click here to learn more about the geographic distribution and here for languages spoken by English Language Learners in the United States. U.S. Census Bureau. 2010. 2013 American Community Survey. Accessed from Steven Ruggles, J. Trent Alexander, Katie Genadek, Ronald Goeken, Matthew B. Schroeder, and Matthew Sobek. Integrated Public Use Microdata Series: Version 5.0 [Machine-readable database]. Minneapolis: University of Minnesota. Available Online. U.S. Census Bureau 1990 Decennial Census Summary Tape File 3. 2013. Accessed from the Minnesota Population Center, University of Minnesota. National Historical Geographic Information System: Version 2.0. Minneapolis: University of Minnesota. Available Online. U.S. Census Bureau 2000 Decennial Census Summary File 4. 2013. Accessed from the Minnesota Population Center, University of Minnesota. National Historical Geographic Information System: Version 2.0. Minneapolis: University of Minnesota. Available Online.